You may remember guerilla gardening from a few years ago. 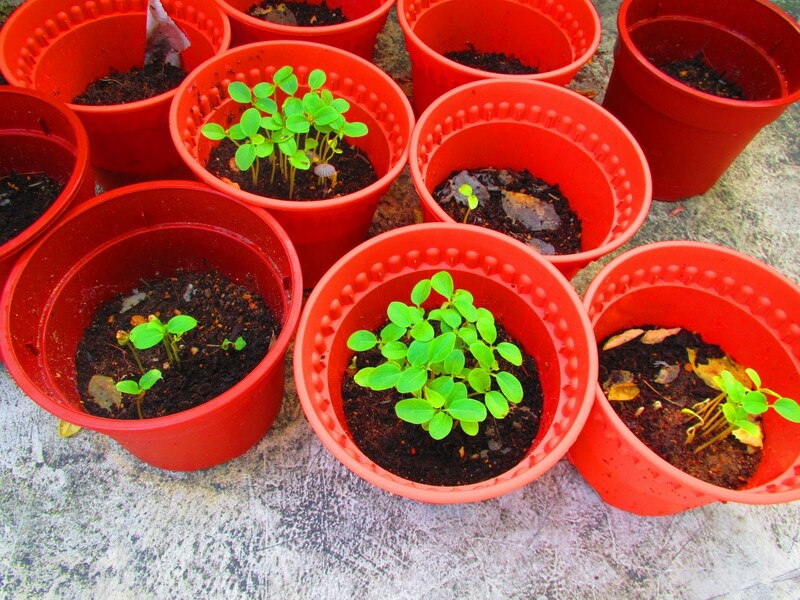 The purpose being to utilise unused land to grow something. Maybe to beautify, maybe to eat, or perhaps both. Then there is a village in the UK where they grow food on unused land in the village, mostly, but not always, with permission. Before long the village will be self-sufficient in food. Someone in Ireland had the idea of having a walking route across the country where free food was growing along the route. 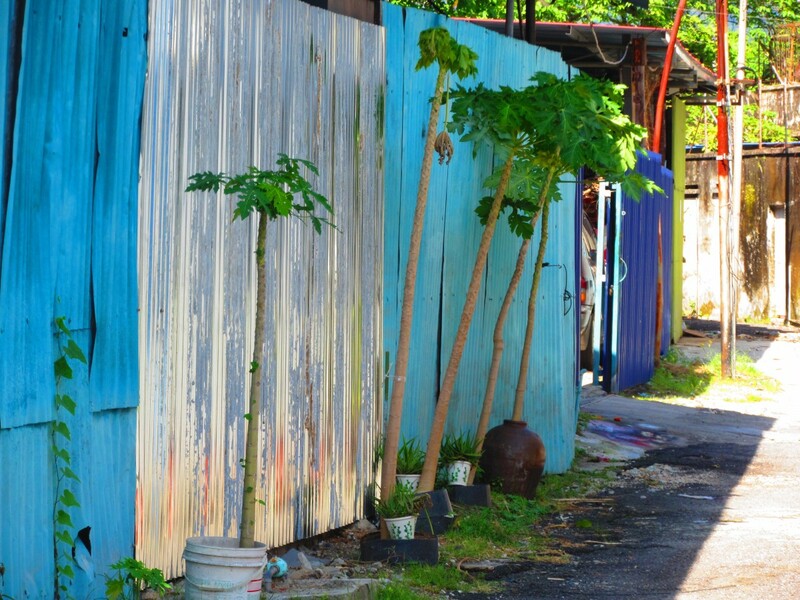 Older locals say that’s the way it used to be in Penang – you didn’t ever pay for rambutans or other common fruit – they were just there for the picking. In Penang water can be collected fairly easily as it rains a lot. It’s warm, so rudimentary shelter is sufficient. At present, one can still breath air freely. So it’s food that is hardest to come by. Some temples here provide free food, although I am not aware of the details as I have never tried to obtain it. But it would be nice if food was available everywhere, freely. As it used to be. I don’t actually have any land, but near the house there are various small strips or patches of land that MPPP (local council) comes along to mow very few weeks. 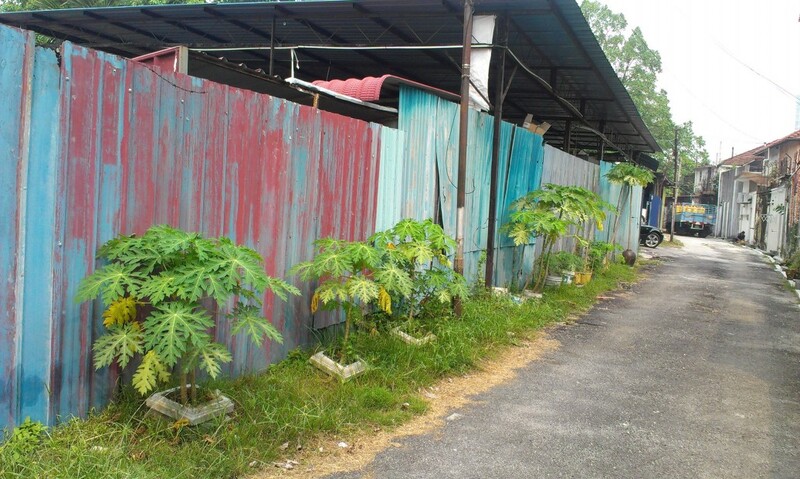 I have four papaya trees growing on a strip of land in the back lane, and they certainly beautify it. 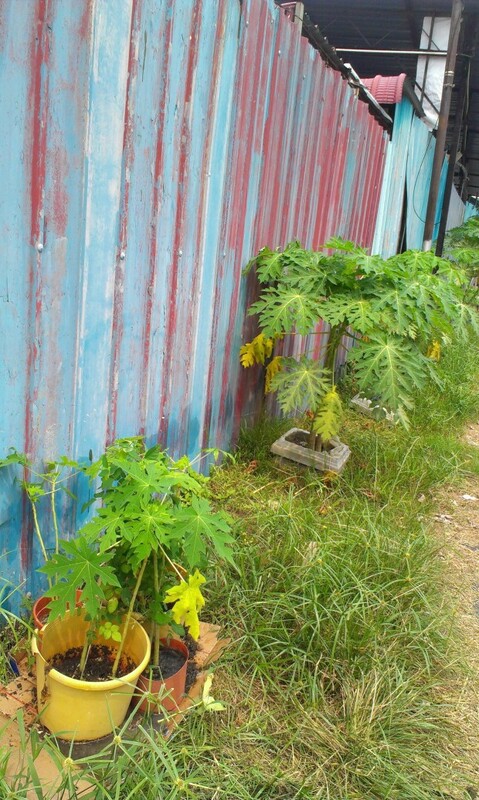 I chose papaya trees because they are maybe the easiest and fastest plant to grow, and they are tough too – two have already been hit hard twice by careless lorry drivers, and they still survive. Right now I am germinating papaya seeds so I can plant about 15 trees. They seem to grow faster in a pot than in the ground to a certain height, so it might be a little while until I plant them. There are also less likely to be carelessly damaged by anyone once they are bigger. Of course, papaya have male and female trees, and basically you need only one male, but if you plant enough trees you will have one, and the flowers will be pollinated. There is a big old mango tree in the street in front, and when there are mangos some people come along to pick them – but I think they sell them. This is not what I had in mind. 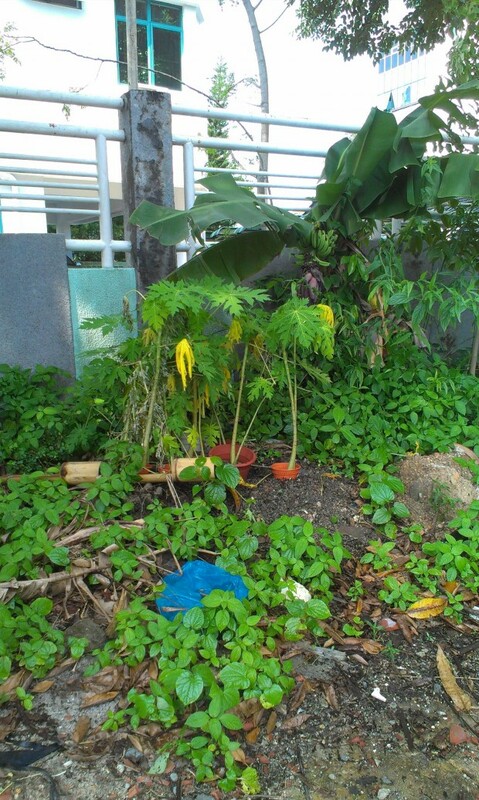 Once the papaya are fruiting I will put up a sign saying, “Free papaya – one per family, please” or something like that. Lorry drivers have killed two trees through careless driving, but I replaced them. Still, they are not growing as fast as I would have thought. Several trees died from the heat in this area, as there is no shade all day for these ones, so I planted some more today in a clump (in photo below), hoping some will survive this time. I have planted some more in a clump on some other unused land – it is reasonably shady, so easier for them to survive. A banana tree is behind – this one planted by a neighbour three years ago. don’t plant them too close together or they wont grow tall. and u might have to apply some fertiliser, as that strip of land dont look too fertile. that banana tree is allready fruiting. unusual to have rambutan trees growing wild and for the picking. maybe in the old days there are lots of old houses with abandoned gardens. cant imagine there are any of those left nowadays. Thanks for your tips. A friend who is now over 70 used to live in this area when a child, and told me he could pick fruit freely. But certainly not now. Mighty nice, someone like you care about greenery so much. I couldn’t love it more.